The Judean Desert, a historic site for the releasing of the scapegoat. 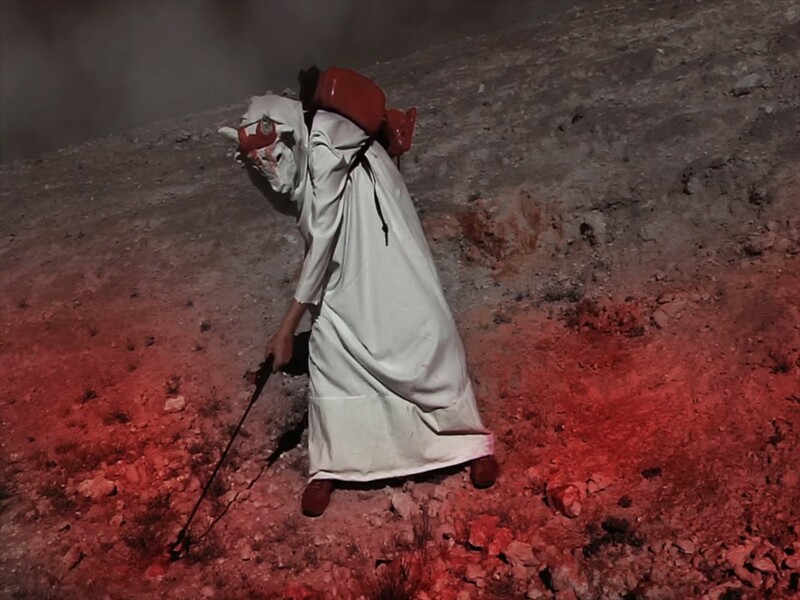 A white-clad figure with a goat’s head sprays red paint all over the empty, monochromatic space around. The bizarre quality and dark symbolism of the scene evoke both the animal and the potency of the ritual. Eden Auerbach Ofrat, she studied at the Tel Aviv University, the Bezalel Academy of Art & Design in Jerusalem and Goldsmith’s in London. She is the recipient of the America-Israel Cultural Foundation scholarship and winner of the Young Artist Excellence Prize. Her works have been exhibited, among others at the Israel Museum and the Seam Museum in Jerusalem as well as at the Noga Contemporary Art Gallery in Tel Aviv.